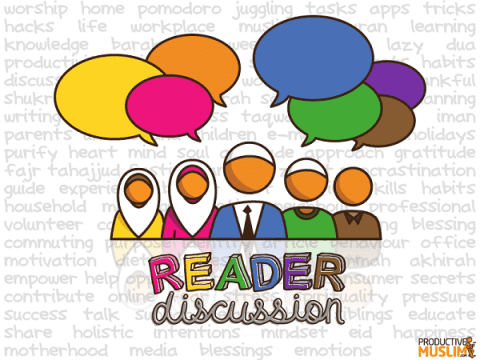 Every month, we host a ProductiveMuslim reader discussion where you can share ideas and tips to help each other become more productive. Last month, readers shared many interesting ideas on achieving your goals against all odds. The theme for this month’s discussion is the one thing you want to achieve this Ramadan, inshaAllah. Every month, we host a ProductiveMuslim reader discussion where you can share ideas and tips to help each other become more productive. Last month, readers shared many interesting ideas on What You Can Do While You Commute. The theme for this month’s discussion is how you can have a relaxed and refreshing weekend.